If you want to know how to find good tenants, it boils down to effectively promoting your rentals. There are 3 paths to finding prospective tenants: find renters your own; hire a real estate agent; or, hire a property management firm. Each method offers a set of promotional options, with each harboring certain advantages and drawbacks. If you’re looking for a solution to help find renters, take a look at Avail. Their software allows you to develop one listing and spread it across the web to sites like Zillow, Trulia, and Apartments.com. Plus, Avail allows you to screen prospective tenants and run background checks. Manage your first property free. 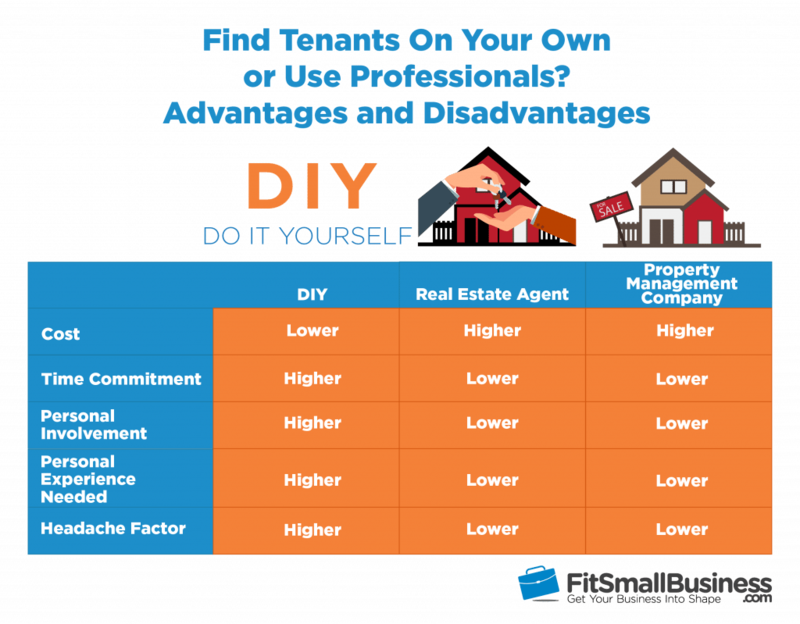 If you are a real estate investor who prefers the do-it-yourself landlord route then you’ll be personally responsible for locating suitable tenants. You’ll have to market your property, take inquiries by phone and email, show the property, and screen prospective renters to make your selection. The more you promote your available units, the greater the pool of applicants from which you can make your tenant selection. There are 7 solid ways for a DIY landlord to promote their rentals to find tenants. As simple and old school as this sounds, using a ‘For Rent’ sign is still a good way to find prospective tenants. This is especially true if prospects are shopping for housing in a certain area or neighborhood. A sign can be placed in a window of the property, in the yard, and/or on strategic corners near the address. Be aware, any of those placements may be governed by local or community ordinance, so make sure you are aware of any restrictions for sign placement. Today, posting property listings online is undoubtedly one of the best ways to reach potential tenants, and Craigslist tops the list of online resources that people use. Posting rentals to Craigslist is free, and you can list both apartments and rental houses on the site. Increased visibility means a greater number of prospective tenants who come across your property. The greater the number of prospects, the larger the candidate pool of potentially qualified tenants you’ll have. A good pool of candidates betters your chances of getting a good, qualified tenant in your property. Today, landlords have a huge selection of property websites on which they can advertise their units. These include: Trulia, Rentals.com, Apartments.com, Zillow, and Hotpads among others. You can list your property on any or all of these – and many are free! Additionally, Millennials are more likely to use their smartphones or tablet to search for housing, and rental sites like these are almost always mobile optimized, delivering your listing in their preferred format. If you are an investor, particularly with multiple properties, having a real estate website for your available properties is a good idea. A website shows prospects you are professional and are willing to provide necessary information such as location, neighborhood, and even pictures or videos to help them make their selection. Various social media sites have groups formed around geographic areas, with some as small as single neighborhoods. Facebook groups, in particular, are popular places where locals advertise items for sale, etc. If you have a property for rent, you may be able to join one of those groups and post your available listings there. It’s worth mentioning that some groups may not allow the posting a rental advertisement. It’s not uncommon for group moderators to discourage or outright ban advertising messages; so, find out the rules before you join. Local print media like newspapers, local free-press publications, and community newsletters are yet another choice to consider. While they won’t outshine online options like Craigslist or rental websites, they do remain a viable option, particularly when you recognize that older generations still rely on print publications and may actually prefer them to online sources. Additionally, many newspapers and local media have online equivalents to their print editions. These online editions are typically where most of a publication’s classified advertising is published. In some areas, those newspaper online classifieds come in a close 2nd place to Craigslist in usage. Turning to your circle of influence – your friends, neighbors, relatives, etc. can be a great way to find qualified prospects. Often, word of mouth can provide you with some of the best candidates you’ll ever find because the referrer can vouch for the candidate. Of course, as with any applicant, referrals can sometimes, unfortunately, turn out badly. That said, don’t let an unfortunate experience with a referral destroy an otherwise good relationship with a friend or family member! For many investors, going the do-it-yourself route seems prudent and frugal. But, it’s not without its issues. Here are some of the advantages and disadvantages of this route. You will not have to pay a commission to anyone securing a tenant for you. You are personally involved in every step. You can exert your own due diligence when choosing prospective tenants. You must assess whether you even know what you are doing! If you are concerned about your own expertise it’s probably best to call in the pros. It’s not free – you can still run up plenty in costs using various forms of advertising, signs, and rental websites. If you’re the do-it-yourself landlord who recognizes the need for powerful online software to help you find tenants, we recommend Avail. Their online software allows you to create just one listing, then have it syndicated across the web to sites like Zillow, Trulia, Hotpads, Apartments.com. If you conclude that marketing, fielding calls, and trying to screen prospective tenants on your own is all too much, then the next option to consider is using a licensed real estate agent to find renters for you. Real estate agents usually charge 1 month’s rent as a commission for locating and placing a qualified tenant in your property. In exchange for that fee, the agent will advertise the property, take all the inquiries, show the property to prospects, screen candidates, and finally secure a signed lease. Agents offer many benefits over the do-it-yourself route. First, there’s no cost to you at the outset – you only pay when a tenant is actually placed. Agents are also familiar with local market conditions, so they can price your rentals effectively. Plus, agents who specialize in rentals may already have qualified prospects available for your unit, and that might mean little vacancy downtime. Finally, since they do a thorough screening, it will help prevent you from being taken advantage of by shady renters. Perhaps the main benefit of using a real estate agent is their marketing arsenal. Because agents have access to the most robust listing tools available, your unit will get prospects’ attention faster – and that means curtailing costly vacancies. 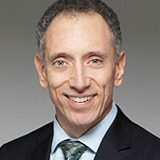 Salvatore Fichera, Licensed Real Estate Salesperson with Halstead Property in New York, echoes most of the points noted above. brokerages (versus only reaching a portion of the market through public websites), an expert agent’s broad knowledge of the local and overall markets, coupled with strongly developed negotiation and sales skills, an experienced professional agent would be able to rent apartments at higher prices and in less time than any landlord could. First, rentals will be placed on the company’s website. Those websites are clearly valuable in two settings. In small markets – perhaps only a handful of brokerages exist. So, when a prospect is looking for housing in the area, they will naturally turn to the few agencies available. Your rental will be on one of them. In larger markets – if you are using one of the better-known brokerages in a larger area, a similar phenomenon happens as in small areas. Because the big agencies market themselves so extensively, they become the go-to place for people seeking housing. If you select wisely, your listings can be on one of their websites. The Multiple Listing Service (MLS) is a database of all agent-listed properties available in a given market, which also includes the rentals handled by real estate firms. There is no single larger source of properties on the market than the MLS. Every real estate agent in a given area will have access to the MLS, and can potentially promote your rental. Plus, brokerages often belong to more than one MLS, which means the potential for even wider promotion of your unit. If an agent, other than the one you’ve enlisted gets your property rented, your agent will share a portion of the commission with that agent. Thus, it doesn’t cost any more to be listed on the MLS than not. Today, real estate agents who promote rentals also use the rental websites mentioned above. So, a good agent will employ sites like Trulia and Hotpads for listing your rental property. But, agents have one advantage over the DIY’er; agents can typically ‘syndicate’ to many (or all) of the major sites with one listing. With the click of a button, they can submit your property across perhaps as many as a dozen of the most popular rental listing sites. Unless you use property management software that has the syndicating capability, you’d have to create each listing individually. Because of brokerage’s clout, these syndicated listing are normally at no cost to you. If you were trying to post own property on rental sites, not only would you have to prepare each of those listings individually, but you’d also incur some costs unless you cherry-picked only the free sites. Real estate agents who handle rentals still employ signs. ‘For Rent’ signs are readily available through their offices, cost virtually nothing, and come in a variety of forms (i.e for a window, or to stick in the ground in front of a property). Sometimes, all it takes is a person driving past a property at the right time – and seeing a sign – to become the tenant you need. As much as hiring an agent seems beneficial in contrast to trying to go it alone, it’s not without certain disadvantages. Here are some of the pros and cons to consider. Benefitting from their connections, particularly with potential renters. Saves you time and headaches. Agents have access to very robust forms of marketing for your rental. At a minimum, you will pay a one month commission when they secure a qualified tenant. Some will charge an advertising fee, either in lieu of, or in addition to, the commission for securing a tenant. Lease renewals will generally cost you, even if the agent had little interaction with the tenant. Property management firms may be stand-alone companies, or they can take the form of a division within a real estate brokerage. Whichever form you find one, property management services provide both the ability to list your rental and much more. Real estate agents merely provide the marketing and tenant placement, then their work is done. Property managers not only list the property, find the tenant, and get it leased; they also take on the day-to-day responsibility of handling the rental for you. So, the upfront work is similar with both agents and property managers, but managers offer long-term oversight of the rented property. Property managers run the gamut of how they charge for tenant placement. Some charge the same one month commission you find with real estate agents. Some charge only for the initial tenant placement, but nothing upon renewal; some charge for both. Others employ a modest marketing fee in lieu of a commission. Yet others have no upfront costs all, relying instead on the monthly fees derived from managing the property. Similar to a real estate brokerage, property management companies have websites on which they can place their listings, and those can be powerful marketing tools. That’s especially the case if the property management firm is well-known or the only player in town. In either case, they are likely to be discovered by people searching online for rentals in a given area. Search traffic and a company’s notoriety can produce a pool of potential renters interested in properties soon-to-be available. It’s like a built-in reservoir of potential tenants which can help you get your unit rented quickly. Many, if not most property management companies are licensed real estate brokers in some form. So, they typically have access to the regional MLS. The same benefits of MLS access apply to them as apply to real estate agents. Your property will be in a database accessible by every agent in that MLS service area. However, MLS access can pose a bit of a financial quirk. If your property manager promotes not having any kind of leasing fee but uses the MLS, you may end up with a fee just the same. If your property is leased by a real estate agent who found your listing on the MLS, they will expect at least the traditional half commission (half of one month’s rent). That’s certainly fair, but read your property manager’s listing agreement so you won’t get caught off-guard. Equipped property managers use property management software that has the capability of syndicating your listing across everything from Craigslist to any number of rental websites. Just like with the real estate agent, you will get great online coverage that typically doesn’t cost you anything additional but will save an immense amount of time over you trying to list on all those sites yourself. You guessed it – property managers also use the humble sign! Using ‘For Rent’ signs is as much a common practice for property management companies as real estate brokers for one reason…they work! And, they cost virtually nothing to deploy! Just as you’ll find with using real estate agents, engaging the services of a property manager offers distinct benefits, yet is still not without some disadvantages to be aware of. It will save you time and energy over trying to do it yourself. You benefit from the property manager’s experience in areas like marketing and tenant screening. You benefit from their connections, particularly with potential tenants seeking available units. You get the long-term benefit of them taking on the day-to-day responsibility once they have found the tenant. There is the issue of cost. While you are not guaranteed that finding a tenant will cost you a full month’s rent, it’s not beyond the realm of possibility either. Renewals may come at a cost, even if the property manager did virtually nothing in the process other than have the tenant sign a piece of paper. If there are any amenities such as a pool or it backs to a park, etc. Pictures are essential. You should have multiple exterior shots and good, enticing pictures of each room. Today, linking to video clips is also a good idea, as video is one of the most preferred forms of content. Part of how to find a good tenant involves screening the incoming applicants. You are asking for disaster if you take someone simply because they appear to have the ability to pay rent and cover your mortgage payment! In fact, in the long run, a bad tenant is generally more costly than no tenant at all! So, it’s worth the wait to find a good, well-qualified tenant who will pay their rent on time, be a good neighbor, and take care of your property. Good screening helps you find those candidates. Generally, tenant screening involves looking at prospects’ income, job history, credit, any criminal history, and how they’ve been as prior tenants. You or your agent/manager can use tenant screening software to handle those background checks and make the process effective. There are 3 options to finding renters for your property: do it yourself, use a real estate agent, or use a property management firm. Each option has its own collection of marketing approaches with distinctive benefits and limitations. Whether you do it yourself or work with a professional, your goal is to effectively build a pool of potentially qualified candidates from which you can select the best potential tenant. Bill Flood is a staff writer for Fit Small Business, specializing in real estate investing. Bill is a Midwest-based entrepreneur, real estate investor, and consultant to fledgling entrepreneurs. He owns property in 6 states, and his consulting firm has served over 100,000 students and clients. When not tending to his businesses or real estate portfolio, you’ll probably find Bill engaged in some retro-themed activity.